Rent Belvedere Events & Banquets | Corporate Events | Wedding Locations, Event Spaces and Party Venues. Belvedere is a stunningly elegant venue where the atmosphere and service create lasting memories. We offer our guests the very best facilities and a caring, capable staff. 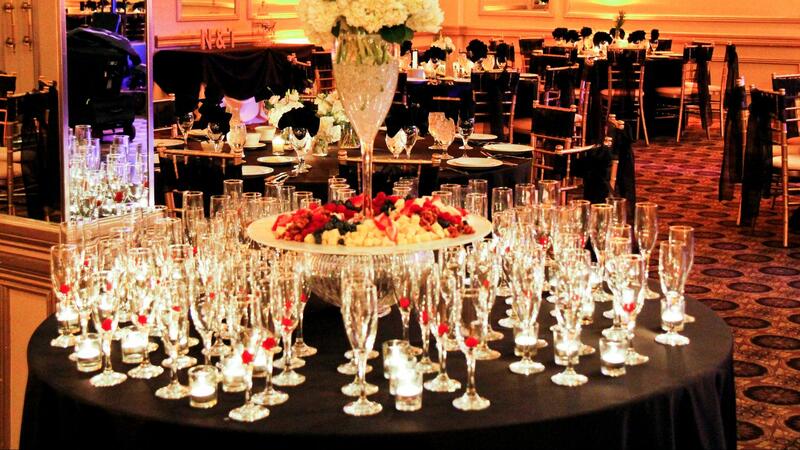 From impressive business meetings to elegant wedding receptions and catering services, you will find every aspect of your event. Step into Belvedere Events & Banquets and open your mind to the subtle elegance of what our facility has to offer you on your wedding day. For the best in wedding venues, Belvedere offers an elegant wedding reception facility that none other has achieved in this industry. From the soft sounds of the cascading fountain to the simple elegance of mosaic tiles displayed throughout, our wedding venue will amaze. It is a perfect location in the Greater O´Hare Area of Chicago for your wedding ceremony and wedding reception with personalized service. Belvedere is the premier location for corporate events in the Chicago area. We offer everything you need to host a successful business event, whether you are striving to boost morale or pump up your sales force. We provide you with a state-of-the-art conference and seminar facility for all your corporate events and business meetings, complete with elegant service, a comfortable environment, and all of the amenities that will make employees and coworkers proud to be on your team. We also provide full service corporate event planning for all your business needs. Belvedere can accommodate corporate functions of all sizes, from intimate off-site management business meetings to sprawling regional trade shows. Private Meeting Rooms that are flexible and adaptable to your meeting goals. Our menus are well constructed and customizable to your needs. Breaks, Breakfasts, Working Lunches, Dinners and Stations are hand picked by our Chef and designed in such a way to entice your attendee’s appetites!